I’ve been working in Professor Aaron Dollar’s GRAB Lab in the Mechanical Engineering Department at Yale since June 2015. 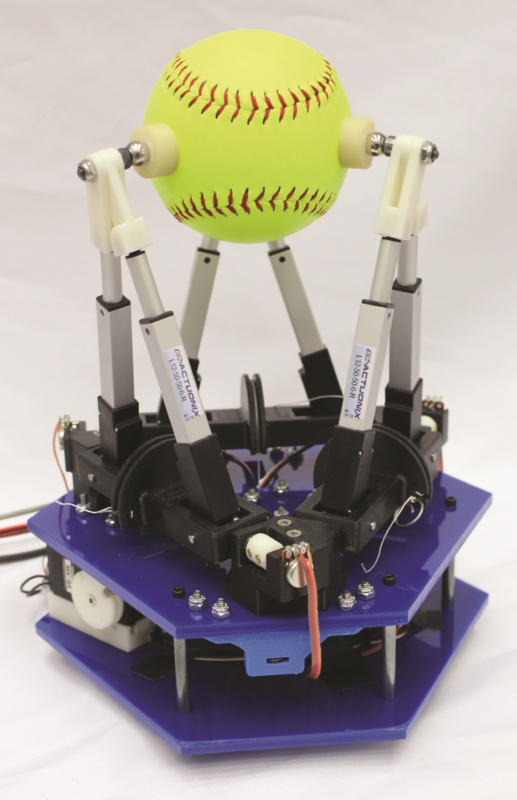 The lab’s work focuses primarily on robotic grasping and manipulation, with a particular focus on underactuated mechanisms. Currently, I am working to develop a Stewart Platform-inspired parallel mechanism hand for dexterous within-hand manipulation of objects. This work was accepted for publication at IROS in 2017 and won 2nd place at the 2017 ASME Student Mechanism and Robot Design Competition at IDETC. I intend to continue this research into parallel mechanism-inspired robotic hands this coming academic year. 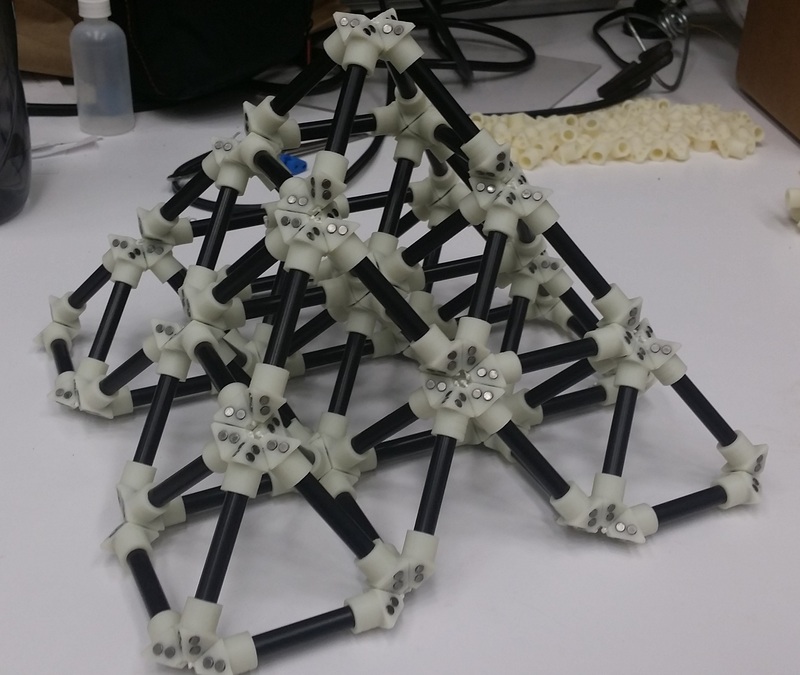 Previously in the lab, I worked on a project aimed to develop a reconfigurable 3D-truss system, which can allow for the creation of arbitrary geometry space-frame trusses. In particular, our truss system can be folded from a continuous chain of material, whereby individual prefabricated chain links are cross-connected to form a rigid 3D structure. The primary application being considered for this technology is space construction, where lightweight, efficient structures that can be reused for multiple purposes are extremely useful. My work was directed at the mechanical design of the chain, exploring different designs for the “nodes” that form the connections, with the goal of developing the strongest connection possible. This research was accepted for publication at IDETC in 2016 and in JMR in 2017.